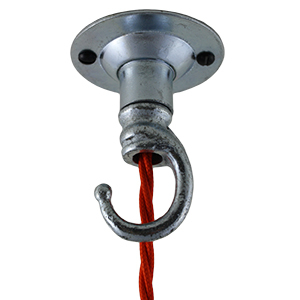 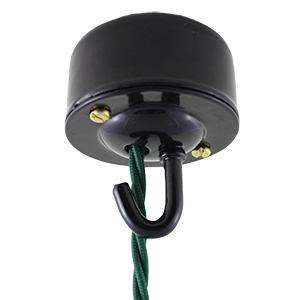 These industrial style ceiling hooks are very high quality and heavy in the hand. 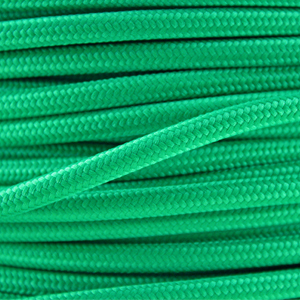 Use with one of our bright neon fabric cables to create a statement suspension. 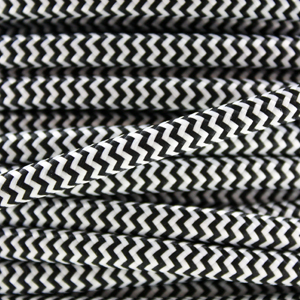 Suitable for use with lighting chain or can be used to swag our Italian braided lighting cable when used with a ceiling rose.